The President of Somali University Prof. Mohamed Ahmet Moalim paid a visit to the President of Üsküdar University after a Memorandum of Understanding was signed between both universities. A meeting was conducted in Senate Hall with the attendance of Üsküdar University President Prof. Nevzat Tarhan, Üsküdar University Vice President Prof. Mehmet Zelka, Director of International Relations Emre Üçsular and a committee from Somali University. In the meeting that lasted about an hour, possible ideas on developing the collaboration between two universities were discussed. Information on doctorate and master’s programs were informed after watching the corporate video of Üsküdar University. The President of Somali University Prof. Mohamed Ahmet Moalim shared the difficulties they have in health sciences and administrative affairs in the university and presented their requests. After the meeting, the Vice President of Üsküdar University Prof. Mehmet Zelka showed the laboratories and library to the guests. The President of Somali University, the academic consultant Prof. Abdullahi Nur Hasan, Dr. Abdulkadir Nur Fareh and Dr. Abdirrahman Mohamed Hassan visited NPİSTANBUL Brain Hospital. 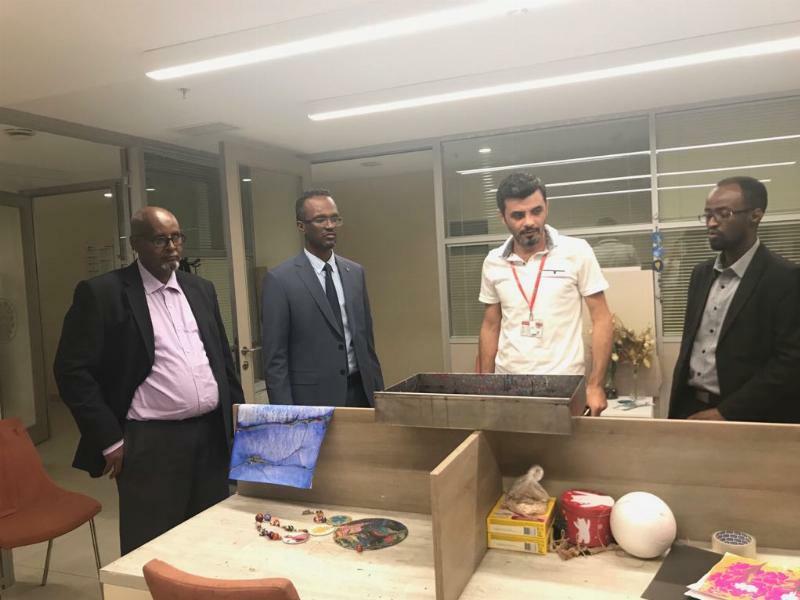 The Somali committee was welcomed by NPİSTANBUL Brain Hospital’s Deputy Chief Physician Dr.Hanifi Devrim and visited patient floors, Neuromodulation Center, Occupational Therapy and Sensory Integration Center. The committee shared how impressed they were especially with the Occupational Therapy and Sensory Integration Center’s artwork and exchanged ideas about international collaborations.